Yesterday I spent an hour or so chatting with building surveyors in North Leeds. The subject was damp, with particular attention to condensation and mould growth. The Leeds independent surveyors forum is a long established group of RICS members who meet up to help each other stay with trends in the housing market in West Yorkshire and talk surveying and valuations. 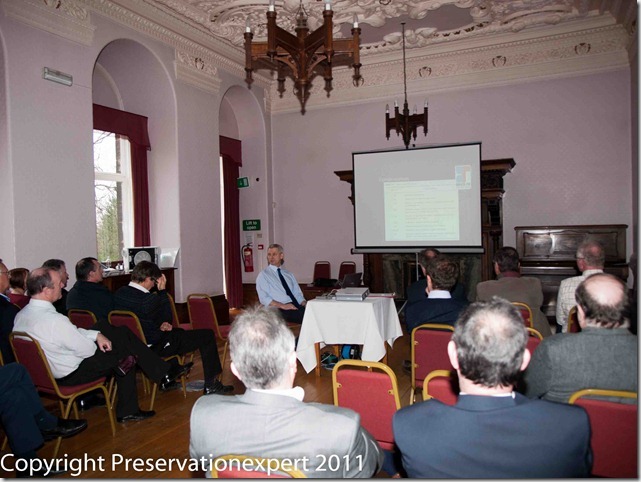 This was the second time I’d been invited along, following a talk I gave for them a couple of years ago, on structural repairs and wall tie corrosion. It was nice to see so many of the best known independent surveyors from my area, with literally hundreds of years of combined experience between them. In fact whilst I was there the group presented long standing member Peter Wardle, with a gift of artwork to mark his 50th year in the business; remarkable. The talk revolved around environmental conditions in housing, which lead to condensation, excessive humidity and mould growth. The members were brought up to date on the latest high-tech equipment for instant site measurement and on remote data logging for monitoring of home environments 24/7. I have an extensive collection of slides from houses I’ve surveyed over many years and these were used to help illustrate the situations one finds in real scenarios. I included some science for those who like that, but in the main, I like to talk surveying in surveyors language and in Yorkshire we tell it as it is. The talk soon opened up and I was delighted that the members came up with lots of questions and some strong opinions; on where we are heading with mould and condensation issues. It seemed that there was agreement that the new Green Deal and the rush for air-tightness will result in many more problems with mould. I used some infrared imaging to demonstrate the effects of internal furnishings on surface temperatures and the benefits of Positive Input Ventilation as a solution to excessive humidity. 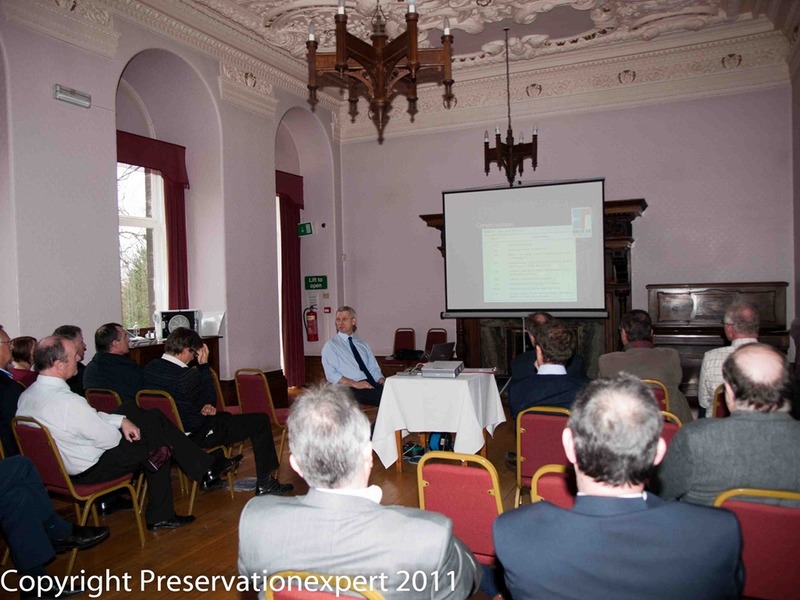 BS5250: “Control of condensation in buildings” 2011 was discussed too and I was able to pass on lots of tips about recognising patterns of mould as a useful diagnostic tool for getting to the cause of the problem. We also covered tenant and customer relations; so important for getting the message across. Toxic mould is a myth of course, but this needed covering and a lively debate ensued. Anyway, I left the CPD confident that the members were a bit better equipped to deal with this growing problem and member, Bruce Collinson even asked for a repeat for his large Leeds based surveying practice. My thanks go to The Leeds surveyors forum for putting up with me and for the chips and sandwiches….brilliant.